Well, here we are again on the downside of another season! You’re probably familiar with the old adage that time goes faster the older you get. But maybe it’s really that time goes faster because as we get older we become more aware of all that we need to do – to say nothing of all those things we just want to do! 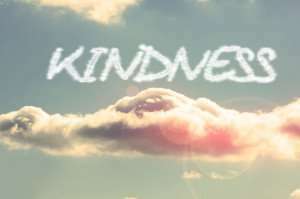 One thing we all need to do, and hopefully want to do, is make our world just a little bit better, one act of kindness at a time. It is really about acting on a prompting that can make a difference in someone’s life. So as another season begins to wind down (unofficially, at least), think of someone you can touch in some small way with a little kindness.